The dental team is hard at work in San Pedro La Laguna 😊. Our team this year all met in Los Angeles for the flight to Guatemala City and quickly felt united in the Lord, which seems to happen quickly among His children! We have members from Alaska, Washington, and Colorado. During the trip down Dr. Eugene Keller became very ill and he was taken to the hospital in Guatemala City where he needed to have emergency surgery. Thanks to God, he is slowly improving. His son Dr. Mark – along with translator Pablo – has been with him the whole time. We were sad to leave them in the city, but we praise the provision of the Lord and eagerly await each update. Please pray for Dr. Eugene’s continuing recovery. Our travel schedule allowed us to set up the clinic Saturday morning, and we were able to see patients for a few hours that afternoon. Yesterday was a very full day – we went into town a bit, enjoyed a demonstration of Guatemalan weaving by one of the student’s mothers, did home visits and attended evening service at Iglesia Bethel. Whew! 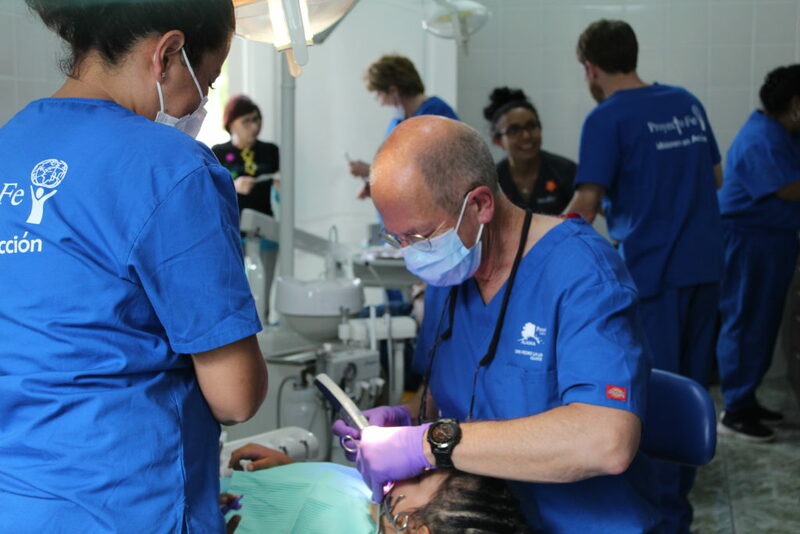 Today on Monday we began full days of helping the precious people here with their dental needs. The town is familiar to many of us – the smoke from the cooking fires, tuc tucs in the streets, the beautiful views of the lake and mountains. And those here for the first time are quickly falling in love with this place! 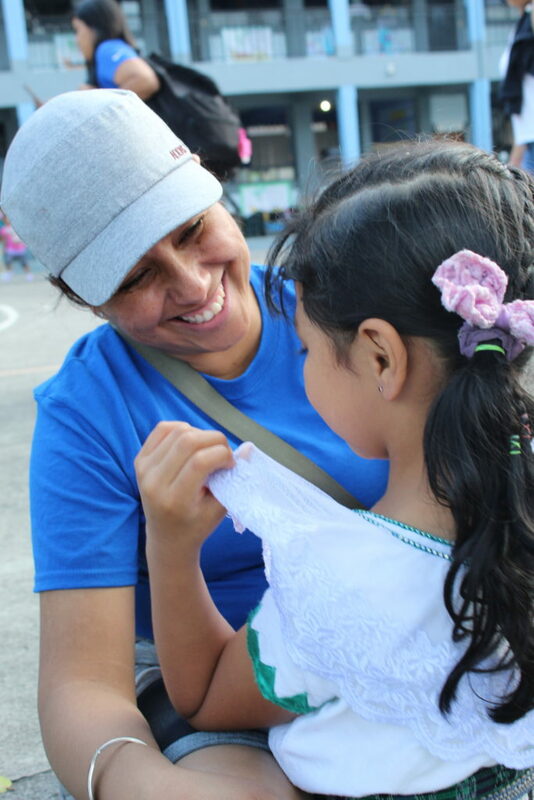 We are family with our brothers and sisters in San Pedro – their warm welcomes, smiles and hugs fill our hearts with joy and love. We are happy to be here making new memories and will have many new stories to share.